A Balmy MLK Weekend | Meghan Kelly Teles! This past Saturday it was 60 degrees and sunny in Lake Tahoe. 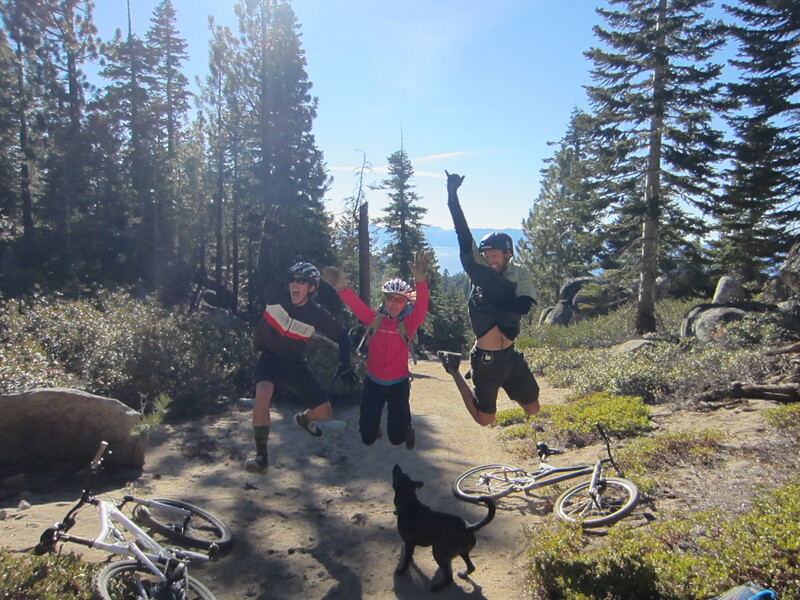 We figured the trails were clear so we planned to head over to Lake Tahoe’s east shore to ride the Chimney Beach downhill. Since it doesn’t typically warm up until late morning, we delayed our meeting until 10:30 AM and I decided to get out on the lake for a short paddle beforehand. It was glassy and the air was warm – by the end of the paddle, I considered jumping in, at 10 AM on January 14th! We met up for sport #2, mountain biking. Climbing up on North Canyon Road, there was a lot more ice than we expected. At the top of North Canyon, we looked down to the frozen Marlette Lake and regretted not lugging our skates up there. The last bit of climbing to the top of the downhill was increasingly snowy and as we dropped in, things didn’t really change. Snow, then ice, then snow, then a mile of dirt, then ice again. It was tough to really let it run. This might be one of the first times that the trails were icy and dusty simulatneously.